With the launch of Monster Hunter 3G looming, Capcom has unveiled 2 Limited Edition bundles. If you still don’t have a 3DS or simply want the included console, you’d want the the Monster Hunter Tri-G Special Pack which includes a copy of the game, and an Ice White 3DS MH 3G’s markings. 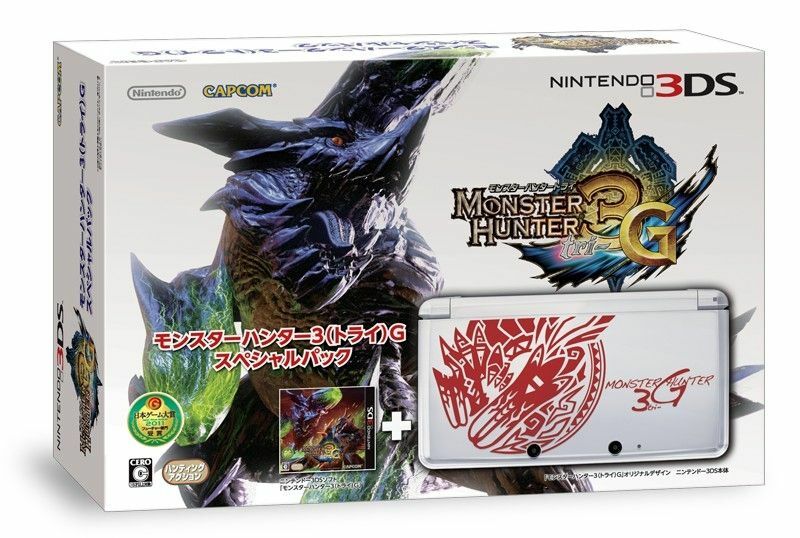 This special bundle will sell for ¥20,800 ($271). 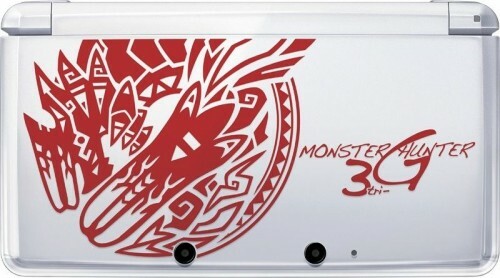 If you already have a 3DS and just want the game and the slide pad, you can get the 3DS Expansion Slide Pad Pack for ¥6,990 ($91). 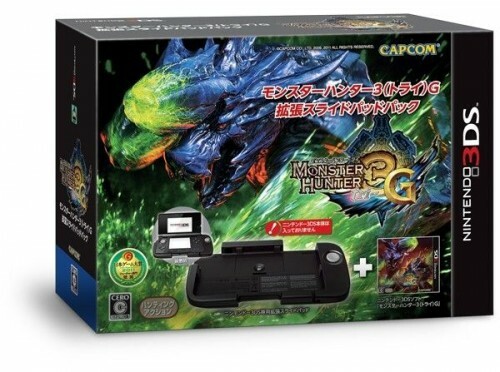 For some reason, Capcom has not announced a bundle which includes the limited edition MH 3G 3DS, a copy of the game and the Expansion Slide Pad. You’ll have to get the Monster Hunter Tri-G Special Pack and buy the Slide Pad separately. Both bundles will be available at the game’s release on December 10.